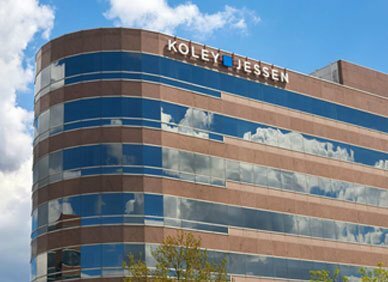 With a national client base, Koley Jessen attorneys are experienced in and focused on advising and counseling private equity, venture capital funds and family offices in all phases of their life cycle. Whether transactional, regulatory compliance or acting as outside counsel to portfolio companies, we provide integrated legal services with a focus on the strategic business objectives. Transactions. We have extensive experience representing private investment funds, family offices, management groups, and other institutional investors in structuring and closing direct investments, buyouts, venture capital financings, minority and growth investments, and similar transactions. Our work with private equity companies across the country has provided us with opportunities to handle bolt-on transactions on a regular basis; which often leads to us becoming a long-term legal solution for the portfolio companies. Fund Formation and Operation. We offer a full range of services to our investment fund clients and their sponsors, including fund formation, structuring, and management, and capital raising. Our on-going regulatory compliance work includes the Securities Act, the Investment Company Act, and the Investment Advisers Act, and other legal issues that arise in the operation of private investment funds. Portfolio Company Representation. We often serve as outside counsel to the portfolio companies of our investment fund clients. We take a firm-wide approach and are able to provide our clients with dedicated experts in areas such as add-on acquisitions and investments, management and employee compensation and benefits, intellectual property protection, tax, litigation, environmental matters, and contract review and preparation. Family Office Representation. Our transactions team has extensive experience representing family offices in growth equity, venture capital, merger and acquisition, and other similar transactions. Our estate planning attorneys bring sophisticated wealth management services, including tax planning, the formation and administration of complex trusts and estates, business succession planning, planned giving and the creation and administration of charitable foundations. Sponsor Structuring. Evaluating, structuring, and negotiating manager-level partnerships and strategic relationships. Our employment attorneys also advise on labor and employment issues of the fund sponsor.